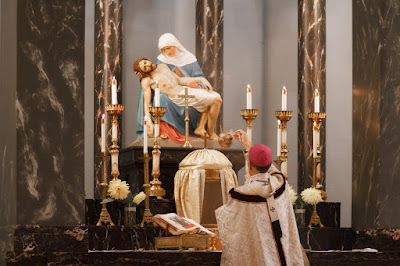 Archbishop Alexander Sample will celebrate a Latin Pontifical Low Mass, according to the Missale Romanum of 1962, in Portland, Oregon, this coming Sunday, October 16th, beginning at 7:45 am. The Mass will be at St. Stephen Roman Catholic Church, located at 1112 SE 41st Avenue. More details can be found on a Facebook page for the event, here. 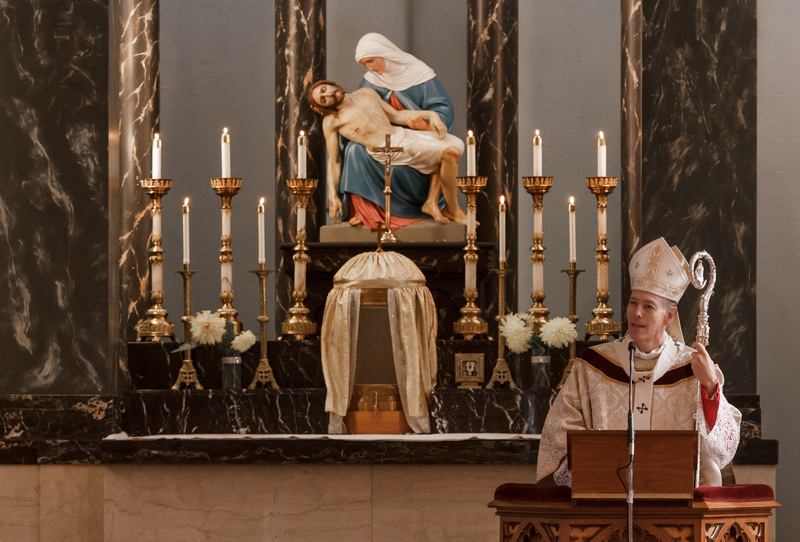 St Stephen’s Church was the place where the archdiocese held a conference on the liturgy just over a year ago, at which Archbishop Sample spoke and celebrated Mass. 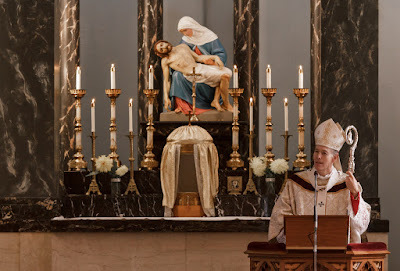 You can read his address to the conference, and see more pictures, in the report from Fr Eric Andersen which was posted on the New Liturgical Movement shortly afterwards, here.